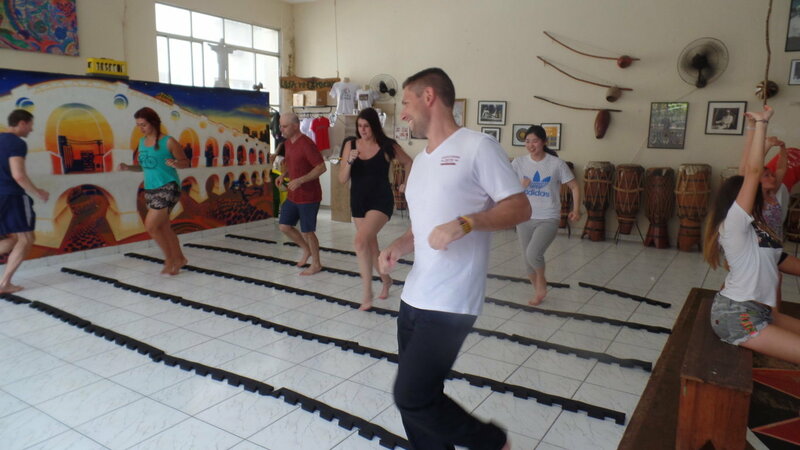 Capoeira in Leme - Learn Portuguese in Rio - RioLIVE! 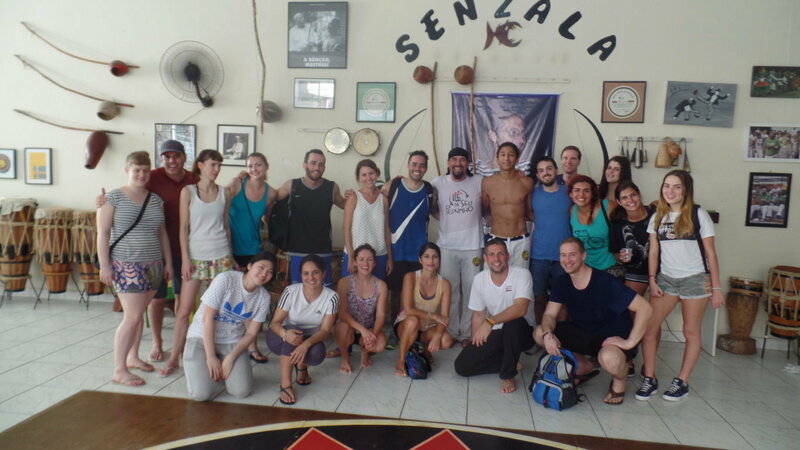 Big cat Diogo brought a lively and ready group to take in some capoeira. Super toasty day with heat and humiditiy…But that didn´t deter us. A great time with action, learning the moves, the music, culture and history of this martial art. 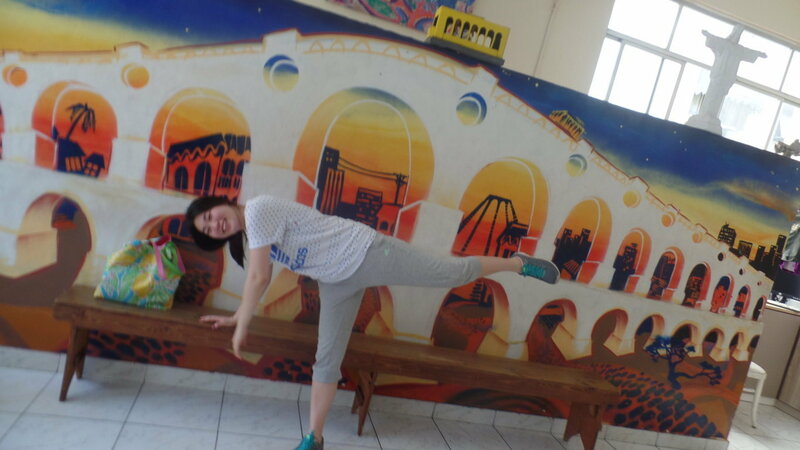 Capoeira in Leme, a very interesting and energetic RioLIVE! that we had at this time. 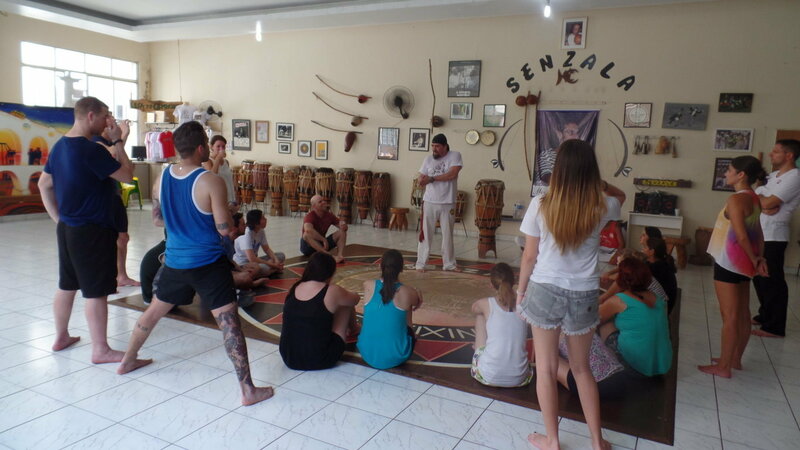 Our Portuguese students had the opportunity to know and practice one of the most traditional and famous Brazilian cultural expressions, Capoeira. Originally created by the black slaves, capoeira is a mixture of dance and martial art, where at the same time that the practitioners are dancing with the songs they can use fast and sometimes lethal movements. 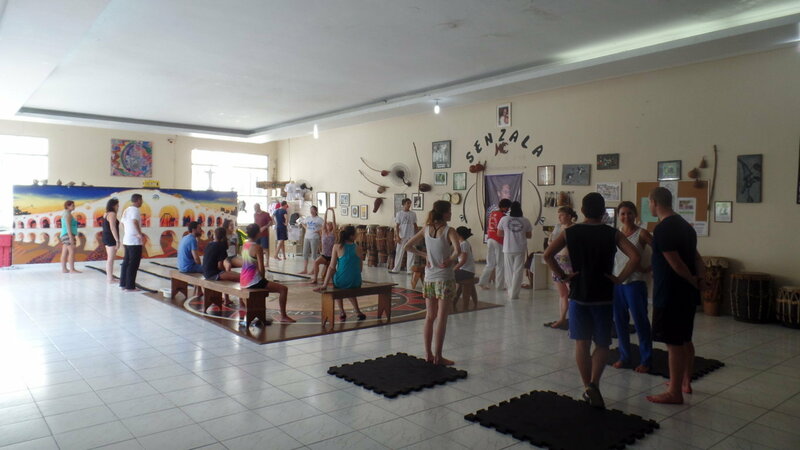 Our students from Austria, United States, Spain, England, Colombia, Italy, Canada, Chile, France, Germany, Mexico and South Korea were very excited in learning a true Brazilian martial art. We did a small walk from Copacabana to the neighborhood of Leme, on the way there, they were already asking things about capoeira. 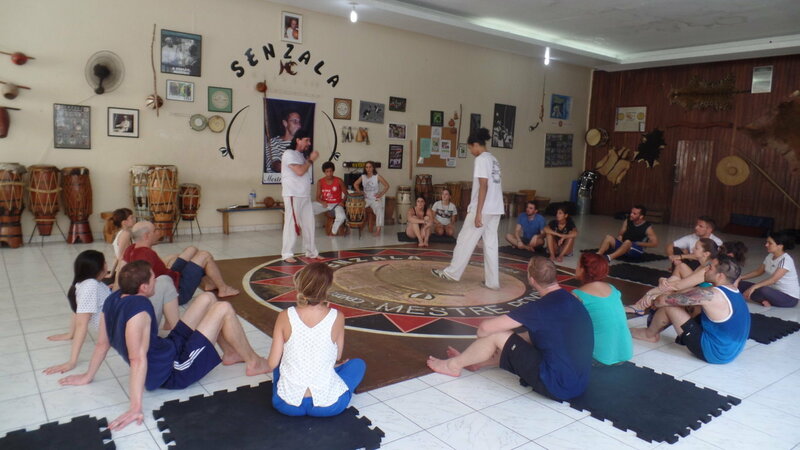 Mestre Toni was the responsible to give the class, it started with a brief explanation about capoeira’s history and origins. 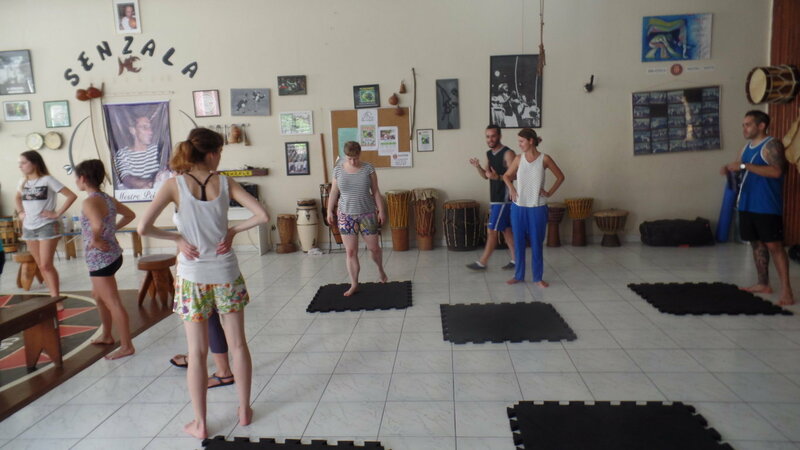 After that, our students started practicing capoeira in Leme doing some warm up exercises, steps, movements and they could even play some instruments and sing capoeiras songs. We finished our RioLIVE! 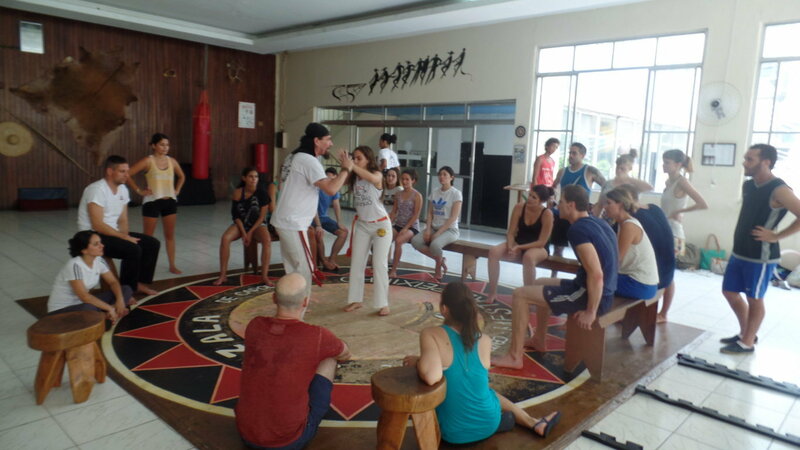 with a very nice and exciting roda de capoeira where our Portuguese students could show a little bit of their skills that they had learned practicing capoeira in Leme. What about you? Do you want to study Portuguese while you know the best places in Rio and its culture? Come to Rio & Learn and take part in our RioLIVE! Activities.